This past Saturday over 2,000 riders joined in the annual Tierra Bella bicycle event. Riders completed distances ranging from 37 miles to 122 miles. The Great Western Bicycle Rally is held each Memorial Weekend and this year will be on May 23-26. It is one major club events each year. As an ACTC member you are invited to join in the club activities at the Rally in Paso Robles. The club trailer will provide light breakfasts and snacks each morning from Saturday Monday. All miles ridden at the rally will count as club mileage; sign-up sheets will be provided at the campsite. Saturday night ACTC will once again be “hosting” the Wine and Cheese Party. Carol Borders will need about 40 people to work two hour shifts; we’ll pass around a sign-up sheet at the May meeting. For information about ACTC camping and dinner, contact Paul Vlasveld at 408-247-6472, For other GWBR information, contact Carol at (408) 259-8933. See you in Paso Robles! Don Axtell leads a one day club ride down to the event on that Friday. See here for ride details. Registration and camping fees for the GWBR should be paid directly by club members to the GWBR organization through their website. One of the benefits of belonging to a bike club is the ease of which to post older bikes and items for sale to members. However, you are reaching a very small minority posting your to ONLY your bike club e-list or newsletter. To cast your net as wide as possible to both sell or find an item for your bike, you should know about other internet sites. recalled items, etc., but for the most part, this is extremely safe and the only way to locate a certain older part or bike. I’ve also added a few sites for new merchandise as there are great buys on certain items. Most importantly, I’ve personally used these sites hassle and problem-free for a number of years, without one horror story of getting ‘ripped off’ as either a buyer or seller. Note on shipping items USPS: Specifically due to 9/11, all postal items over 12 ounces MUST be brought to a post office for mailing and will not be taken from your door or from a corner mail box. If you are a buyer of an item not local, it is not unusual for a private party seller to wait a reasonable amount of time for your check or money order to clear, BEFORE your item is sent. This is how I do business, and it is another step that protects me against fraud. The peace-of-mind a seller will have is immeasurable when they know your check/money order has cleared; and they are more willing to sell to someone who isn’t in their city or state. Enjoy these sites and I hope ACTC members will add a few of their own. As of 4/08; all these links were updated and active. One of the best FREE classified web sites-hands down. I often browse the out-of-state areas, including SoCal; as buyers usually have no issues shipping items within CA. I have purchased small items from Portland, Seattle, Phoenix, Orange County with no issues. If you do find something from Craigslist, take precautions and watch for the possibility of fraud. Do ‘due diligence’ before sending money to private sellers who will not give you a land line phone number or home address. (A PO box, and cell phone number could be a dead giveaway for fraud). And of course IGNORE anyone from Europe or other continents willing to send you payment for any item. Craigslist has excellent information right on their page about avoiding fraud. Please read it BEFORE using Craigslist. Also, if the price seems too good to be true, walk away from the deal. You don’t want to support theft. Use the Search function in Bicycles to punch in exactly what you want. You can register free, but must have a credit card number for billing for both buying and selling. I use a card with a very low minimum to avoid fraud. Note: Some auction sellers are known to ask exorbitant shipping fees to pad profit margins. Note seller ratings BEFORE bidding. http://www.theprosstuff.com/ A site run in Colorado where teams and pros sell their cast-offs and sponsored goods. A good variety of items all neatly catorgized–more heavy with OEroad’ than mountain. Note: many items have club or sponsor names. A great place to find older bike parts and donated bikes at decent prices. 100% of proceeds goes to TFK: a non-profit dedicated to taking marginalized city kids on mountain bike rides. unlimited street parking around the store. The Bicycle Trader used to be a printed publication until it went 100% web. These guys were the first on the block to see a niche for the buy/sell/trade bicycle and parts market. 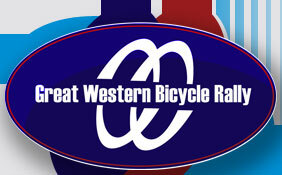 This site is very popular with those who trade/sell in vintage bikes-an area getting very popular with collectors. Vintage cycling is it’s own niche, but I had to mention it because it was the first of its kind. NOTE: cost involved to post your item I’ve noted high prices here for items sold, but if you are looking for a certain off-road bike, frame or part, this might be where you need to start. These are all private party ads and show very active sales. A large on-line forum with a small area for buying and selling from private parties. Sign up for free and log on to both buy and sell. Team Estrogen/Community. A great ‘women’s only’ space for both selling and buying. Click Discussion Forums to get into the sales area. The Terry site is great if you are a very small/petite woman rider looking for high-end Terry bikes, etc. The defunct Tandem Magazine has an extremely active website hosted by the publisher of this old publication. The classifieds are used frequently to sell (what else? ), tandem bicycles all across the USA. Note: servers can’t handle photo uploads. A good-sized forum dedicated to all things tandem. Free to join and post your bikes/parts right away. This is REI’s outlet area for blow out bike clothing, parts and accessories at sometimes very low prices. You don’t pay shipping if you live near an REI and have your item sent to the store. For outdoor shoes, clothing and a sprinkling of cycling items, this place has good prices on close-outs, out of season, blems, etc. Everyone likes price comparisons! To price NEW parts only, this great site locates the exact item you type in, and gives you prices of the item at many stores (brick and mortar and internet). I would be remiss in not mentioning a number of regular Bay Area bike swap meets; some meeting twice a year (in Spring/Fall), but if you’d like to know more information, you can email me directly! If you have ANY questions on any of the sites, please feel free to contact me.